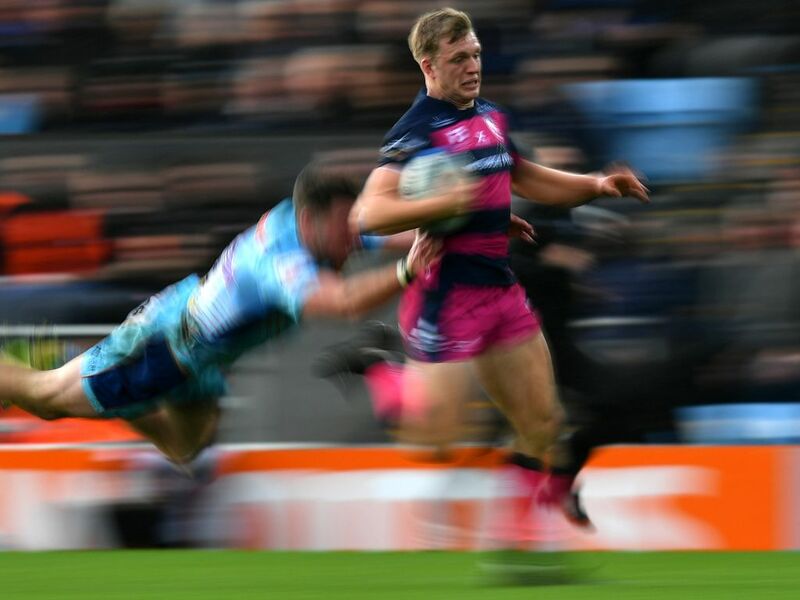 England call-up Ollie Thorley has revealed that being told of his selection in front of his Gloucester team-mates made the moment all the more special. Cherry and Whites head coach Johan Ackermann announced that the winger would be involved in the build-up to England’s Six Nations opener. And Thorley admitted it was a great feeling to hear the news alongside his friends, with a mixture of shock and excitement his main emotions. “It was incredibly exciting for me, that’s the main emotion, I was full of excitement when Johan told me,” he told Gloucester’s official website. Thorley has been in scintillating form this season with his long-range try against Leicester Tigers standing out. However, he’s just happy to be playing and improving in a Gloucester shirt and now wants to kick on with England. “I’m just glad that after putting some focus on developing my game this year it has been spotted and I want to grow on the pitch from this,” he added. “There’s been a couple of guys at Gloucester Rugby who have been helping me out, and giving me pointers like Charlie Sharples, Tom Marshall and the like. On the prospect of pulling on the white jersey, he said: “The Six Nations has got to be one of the best tournaments in World Rugby, if not, the best. I’m tremendously excited, and it’s going to be a great first game taking on Ireland. “It’s going to be incredibly competitive in terms of selection for that game, but I am going to give it my best shot. I’m hugely excited, and honoured to be named to potentially play for England, and I think it’s going to be amazing.